Ardmore's Science Fair will be on Friday, March 29th, 6:00-8:30 p.m.
Exhibits, demonstrations and hands-on activities for the whole family! Completed boards must be brought to school on Thursday, March 28th. What are you curious about? 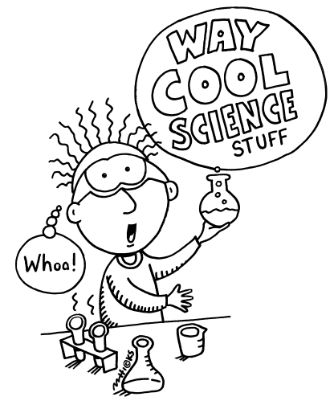 Find a science or engineering topic that sparks your interest and do an experiment or project and share what you learn! In addition to our student Science/STEM displays, the Science Fair will have hands-on activities for families, local invited scientist demonstrations and shows, and more! 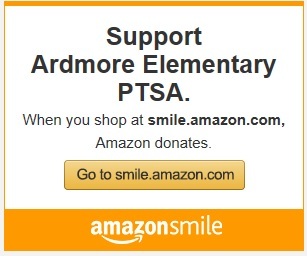 Tri-fold display boards are provided free of charge, donated by the Ardmore PTSA. The boards will be color-coded by grade level for our viewing enjoyment! The Science Fair Packet will help you to understand the scientific method and the engineering process and how to get started. You can work on your project by yourself or with 1 partner. While parent/family involvement is welcomed, we strongly encourage students to do as much as possible on their own. These sessions are for kids who sign up to use a simple kit off the menu from the Family Connections Center. 1. Please bring your tri-fold displays to school by Thursday, March 28th, the day before Science Fair/STEM Night (Friday, March 29). New this year: Students will tour their fellow students' projects during the school day. 2. Include your name and teacher on your display. 3. Students should plan to attend the evening of Science Fair/STEM Night and be ready to talk about their experiments to attendees during the period when they are with their projects. Parents can stand with their students if they choose. 4. Please do not bring live animals to school. 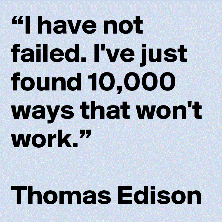 Instead, take pictures of your experiment in progress. 5. All projects with liquids or other messy substances must be displayed on a tray. A towel or a roll of paper towels must be brought to the Science Fair, to be used for rapid clean up in case of a spill. These should be kept under the table under the science fair project. You can think up your own project or get ideas from science books at home, the library, or online. The Family Connections Center also will have a menu of grade-appropriate projects. Create a sense box, place objects inside, can you feel them? What happens if you wear gloves? Can you feel the objects with your feet? Taste different foods with a blindfold on, what happens if you pinch your nose? Can you find different shapes in nature? Draw or take photos of which shapes you find and where. Can you sort buttons (or other objects) into sets? What do the objects in each set have in common? Can you sort them in other ways? Collect a variety of containers, predict which will hold the most liquid and the least. Do you use more water taking a bath or a shower? Can your friends correctly guess their own heights? Do cut flowers really last longer when the flower freshness packet is added to the water? How much sugar is in everyday foods and drinks? Does changing the way a paper airplane is folded affect the distance it flies? Does water with salt boil faster than plain water? How does leaving out an ingredient affect the taste of a cookie? Experiment with different objects to find out which ones sink or float. Find out what properties floating and sinking objects have. Does it matter in which direction seeds are planted? How can you demagnetize a magnet? Which objects are good conductors or insulators of electricity? Experiment with pH paper-saliva, drinking water, rainwater, skin, animal fur. This Science Fair/STEM Night is sponsored by your Ardmore PTSA and run by PTSA volunteers.